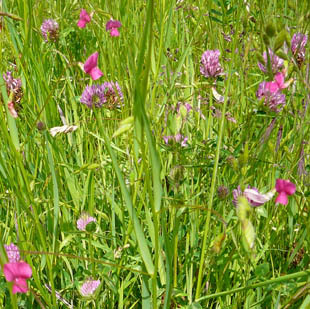 nitrogen-fixing, annual herb, growing up to 90cm. 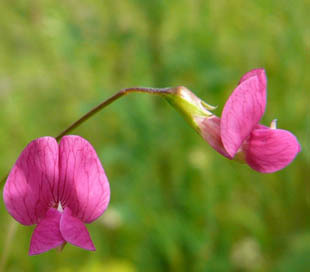 The leguminous, crimson-pink flowers are in pairs on long stalks. 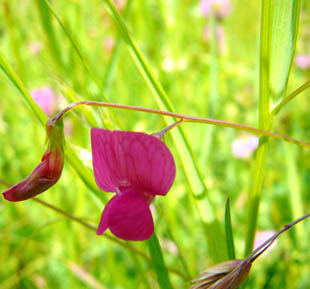 The stems and leaves are grass-like. It seems to be on the increase, both in occurrance and range. 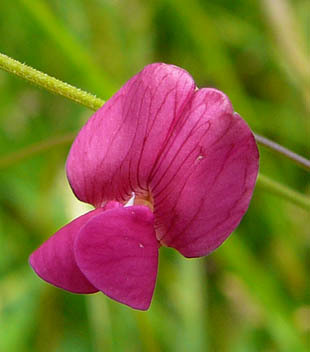 This is probably due to its inclusion in wild flower seed products.